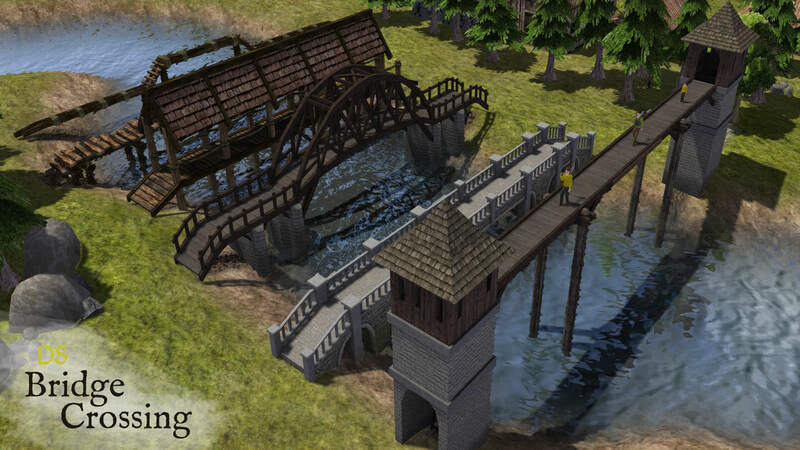 Adds 6 Bridge Crossings that can be built over streams, rivers, or even lakes. Download the NEW version 2.0 above. 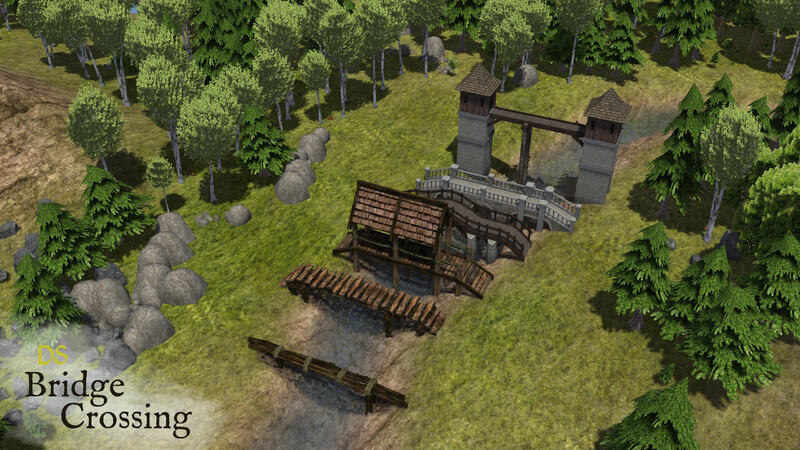 - added 4 new bridges: Stone & Log, Covered Log, Town Stone & Guard Tower Bridges. - adjusted size of Log Bridge (formerly Log Bridge Crossing). - all bridges are now within a single toolbar button. - new sprite toolbar images. - Fixed issue of icon not appearing in toolbar menu. 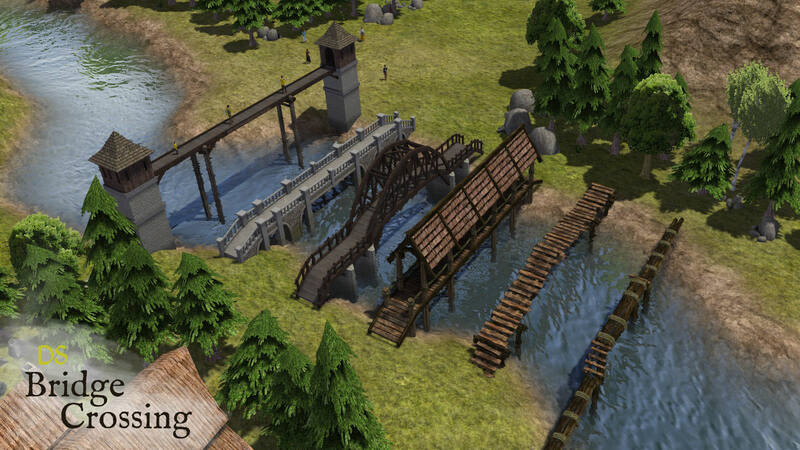 - Added second bridge: Rough Log Bridge Crossing.